Custom configured sapphire optics that are more durable than other materials for the rising use of drones in commercial and military applications are available from Meller Optics, Inc. of Providence, Rhode Island. 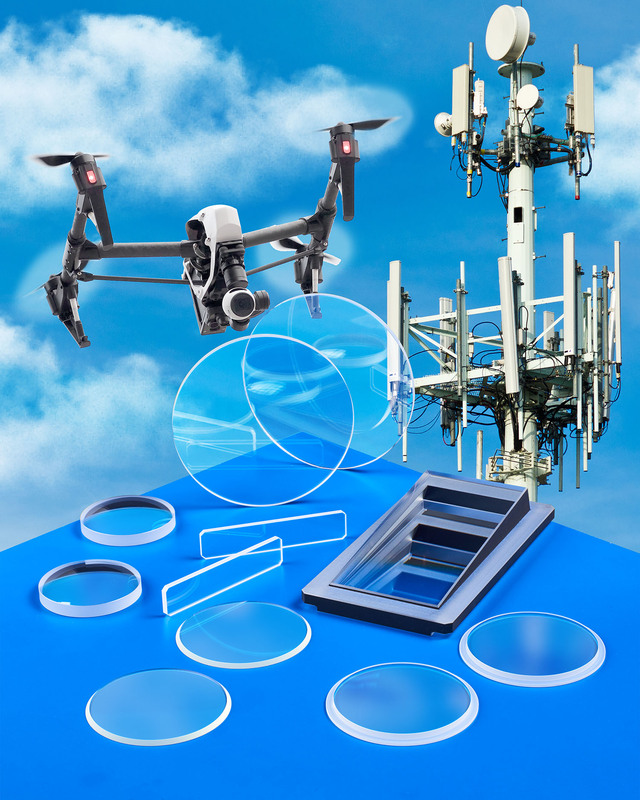 Meller Sapphire Optics for drones include flat windows and domes for all types of vision systems used for inspecting cell towers, bridges, and other challenging commercial and military surveillance applications. Featuring Moh 9 hardness which is second only to diamond, highly durable and clear sapphire can withstand fast moving dirt, particulates, sand, and water. Providing up to 85% transmission uncoated in the UV to IR, with up to 99% when A/R coated in two sides, Meller Sapphire Optics can be supplied with surface finishes from 60-40 to 40-20 scratch-dig and flatness held to 1/10th wave in the visible and < 2 arc sec. in/in parallelism per MIL-PRF-13830, depending upon configuration, with precise edge steps and mounting profiles. Meller Sapphire Optics for drones are priced depending upon configuration and quantity. Price quotations are available upon request.